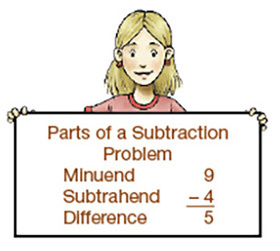 Algebraic expressions and linear equations are applied throughout a thorough review of operations on integers, fractions, decimals, percents, and radicals. Students explore relations and functions using equations, tables, and graphs. Chapters on statistics and geometry extend foundational concepts in preparation for high school courses. Teacher's Edition with CD—student pages with overprint answers, presentation suggestions, additional problems, one-on-one activities, common student errors, and complete solutions for exercises; incudes suggested schedule and assignments to accommodate minimum, standard and extended tracks; CD contains Transparency Ready Answers, Mathardy (Review Game) and Visuals. 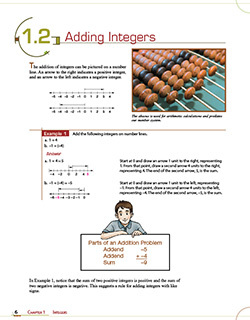 The Pre-Algebra Student Activities Manual Answer Key has answers for the activities from the student version. Also included is a CD with complete solutions for the activities. A test is provided for each of the twenty-one chapters. Each test is similar to the corresponding Chapter Review pages in the Worktext. Includes a copy of each chapter test with an answer overprint.